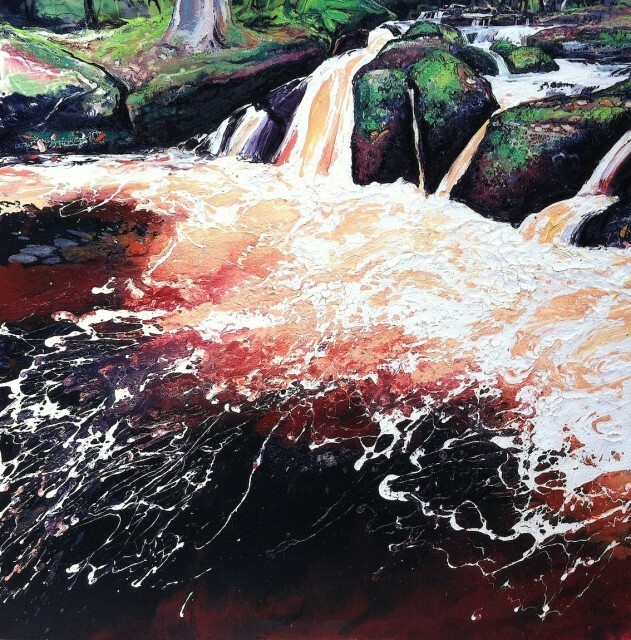 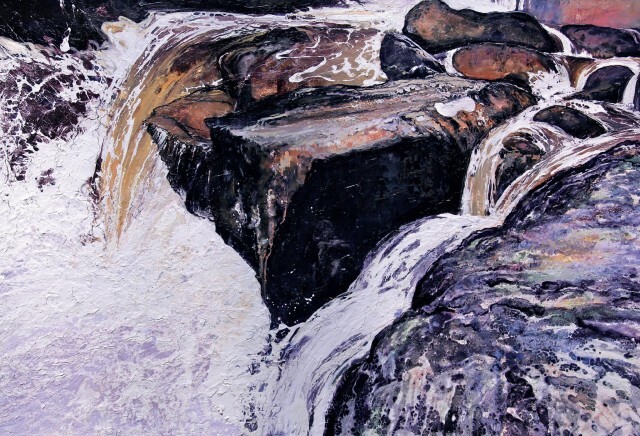 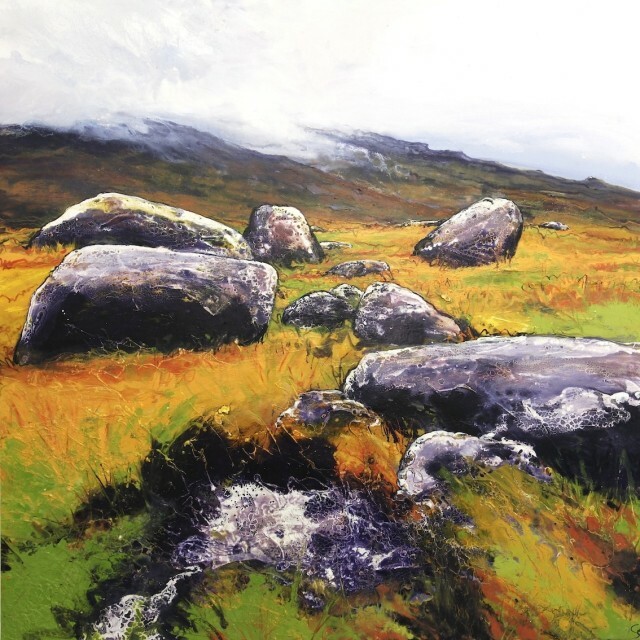 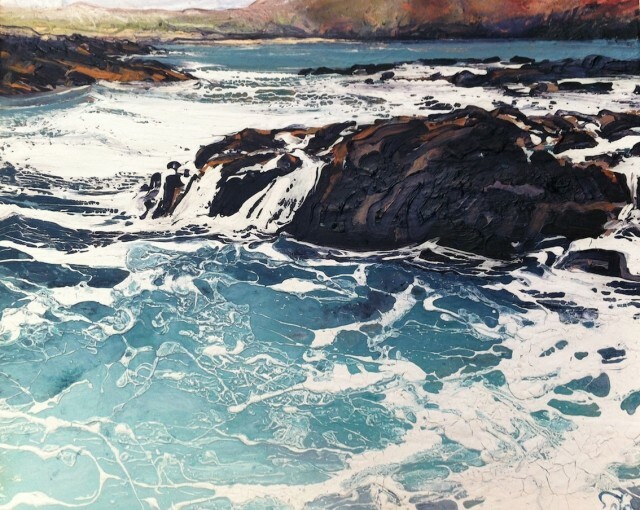 In this exhibition, the 2013 winner of The Royal Society of Marine Artists, Michael Sole, presents us paintings that focus on his trip to Scotland. 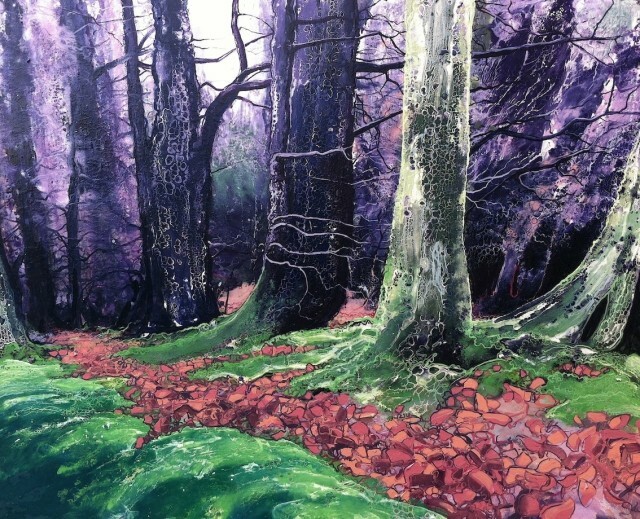 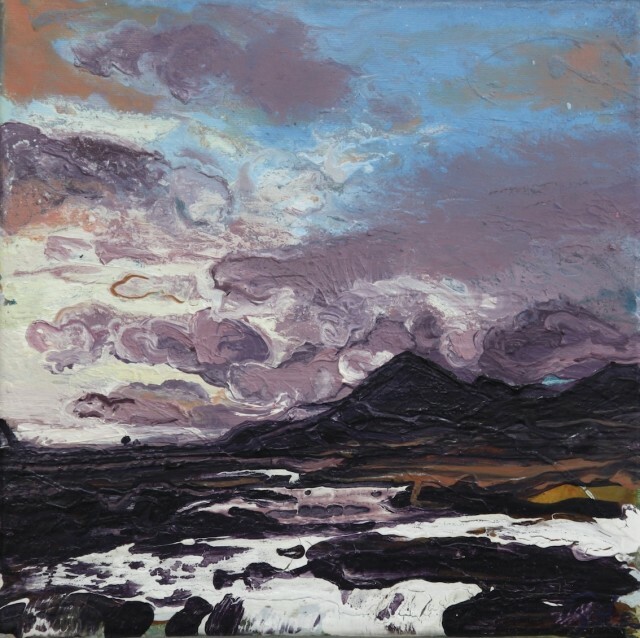 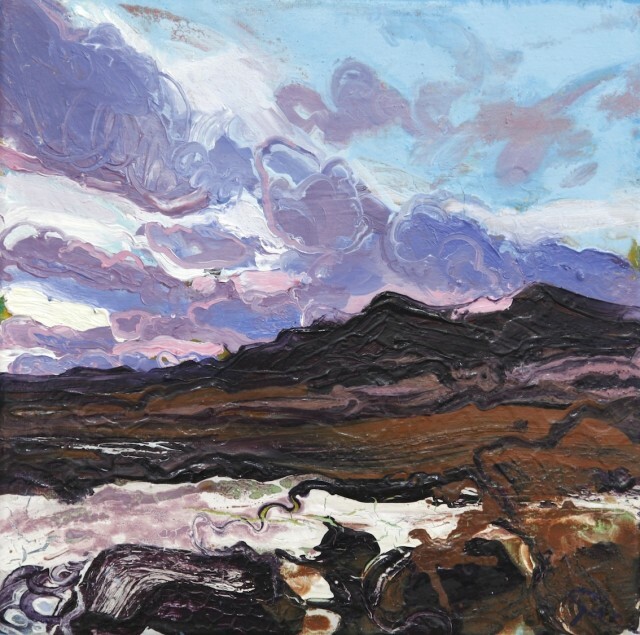 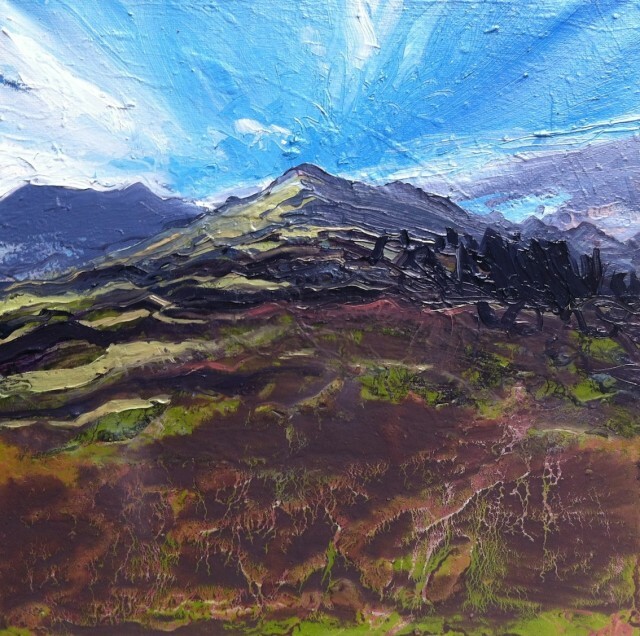 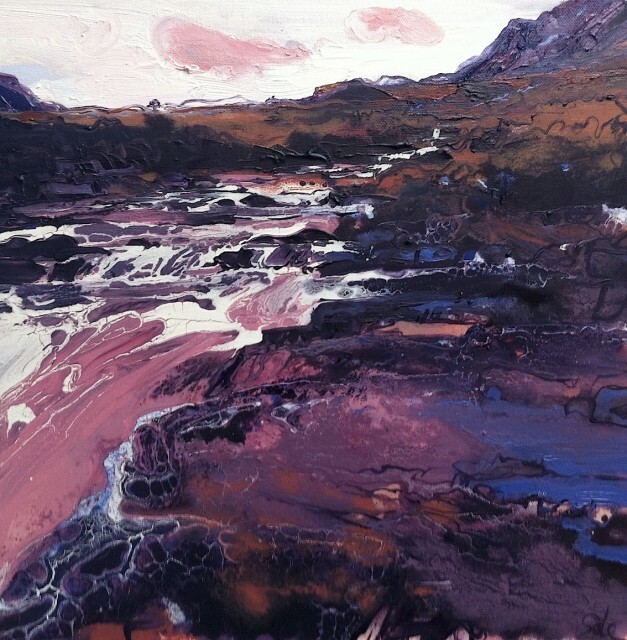 Striking and emotionally charged as usual, these new works also showcase Michael’s latest developments in his enterprise of revolutionising the tradition of landscape painting. 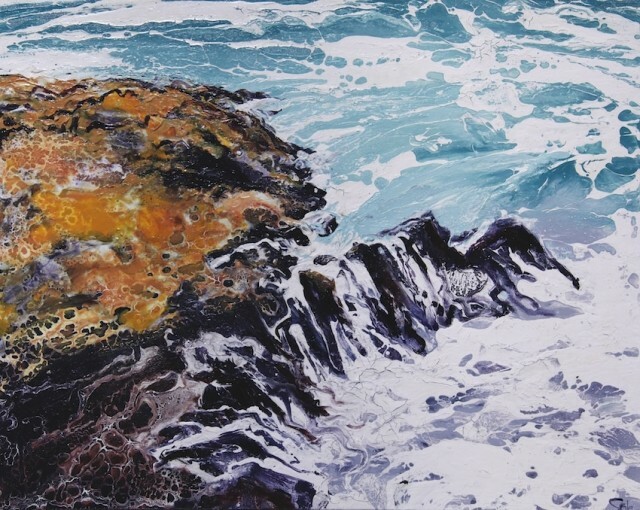 Michael’s signature seascape paintings with canvases of rolling, almost splashing pigments will continue to intrigue the audience in this show. 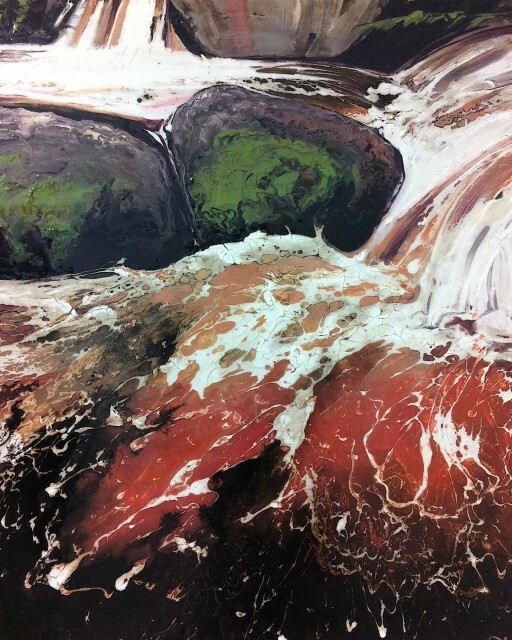 Working directly on the canvas, he infuses much expression into the moveable wet paint, which then dries and locks up the magical result. 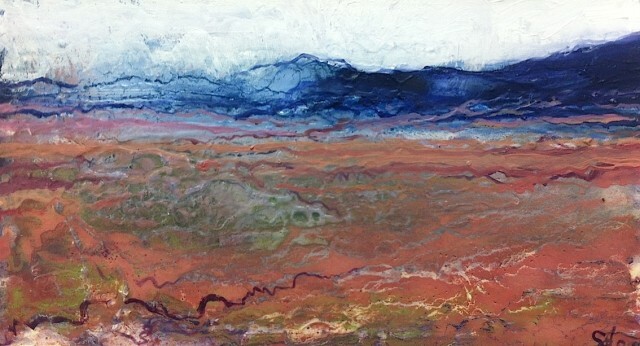 The distinct textures of the materials and the processes in which different paints react to each other are thus clearly visible. 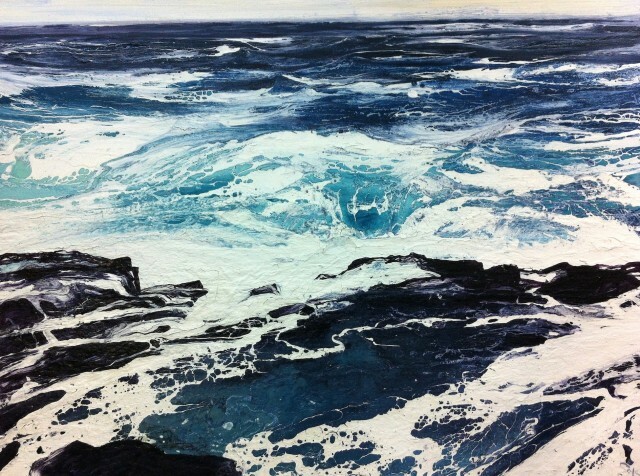 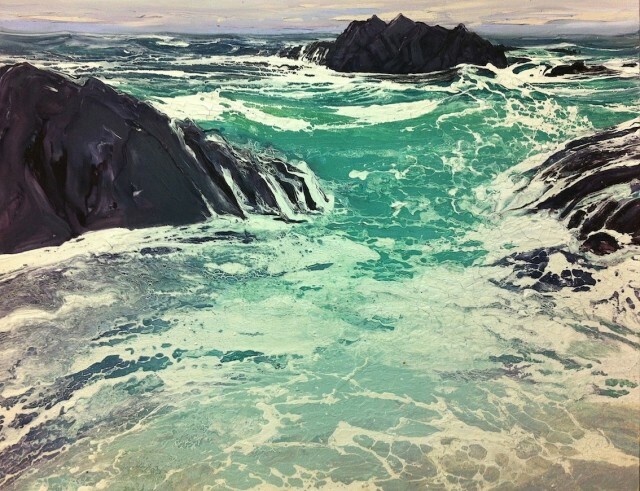 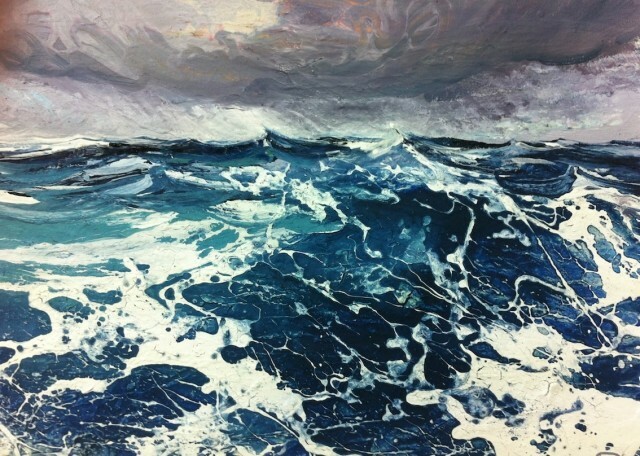 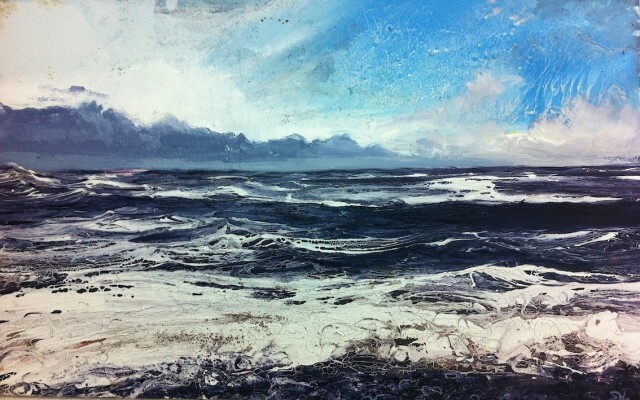 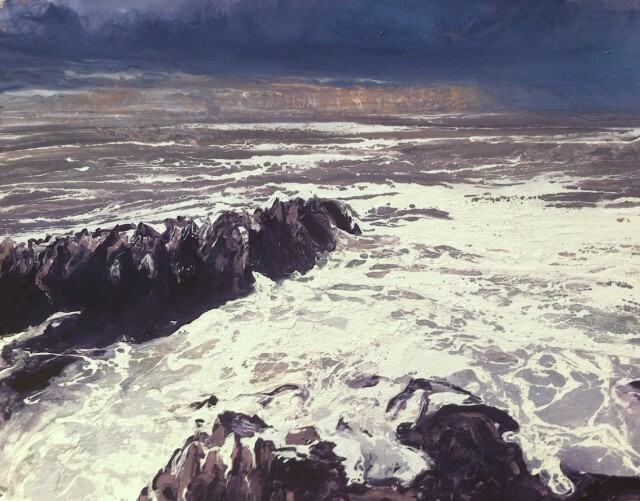 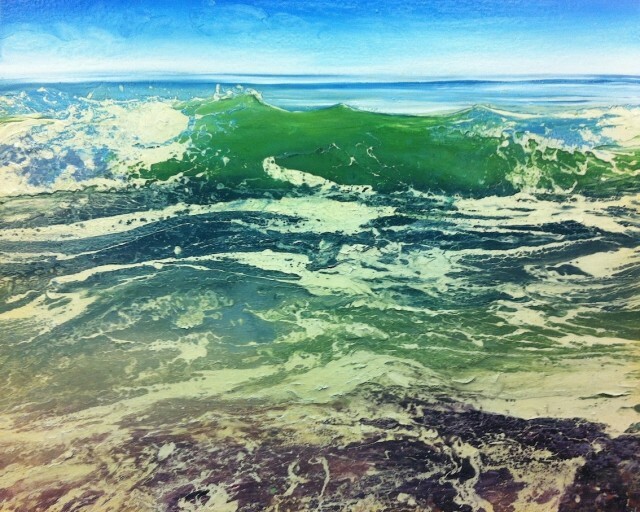 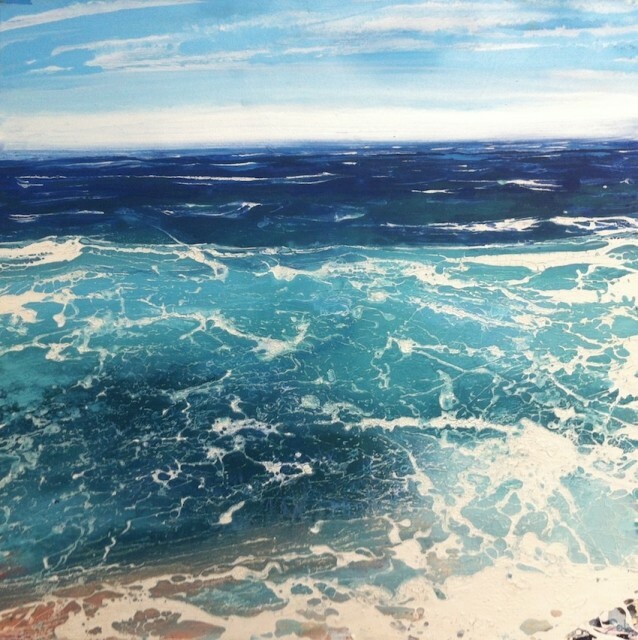 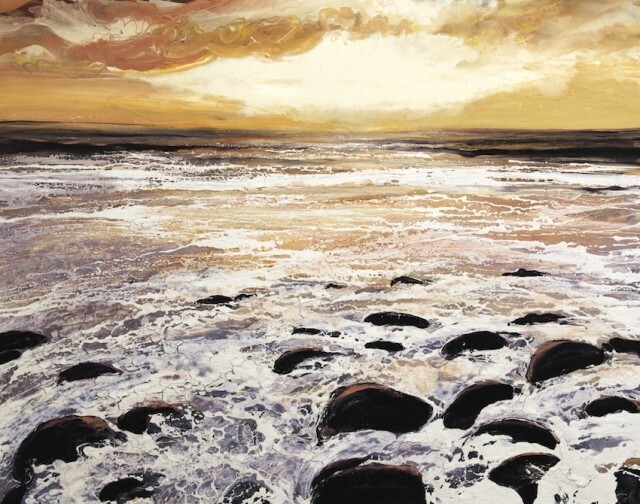 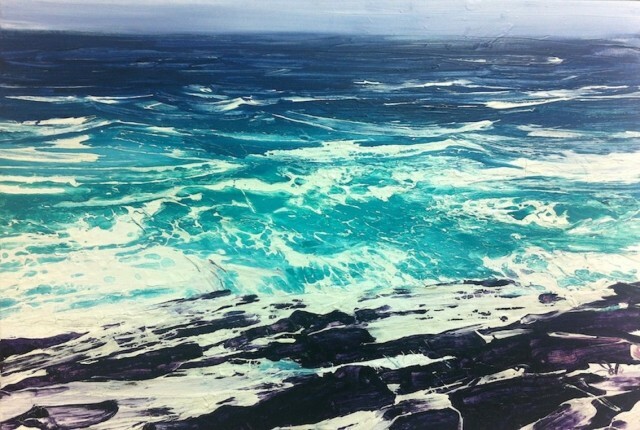 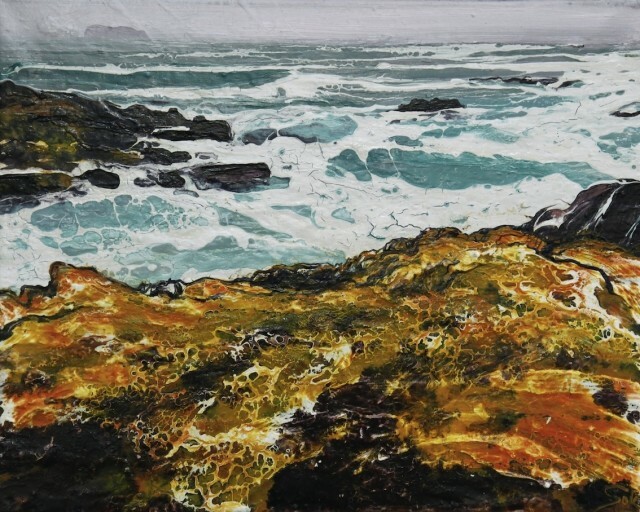 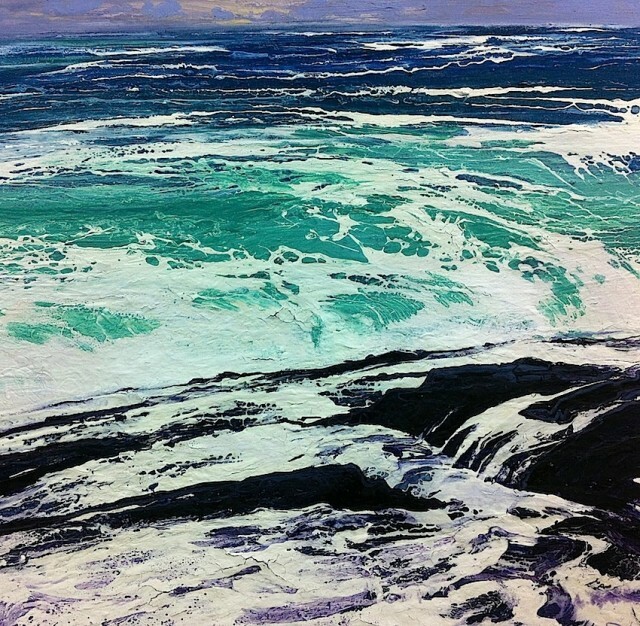 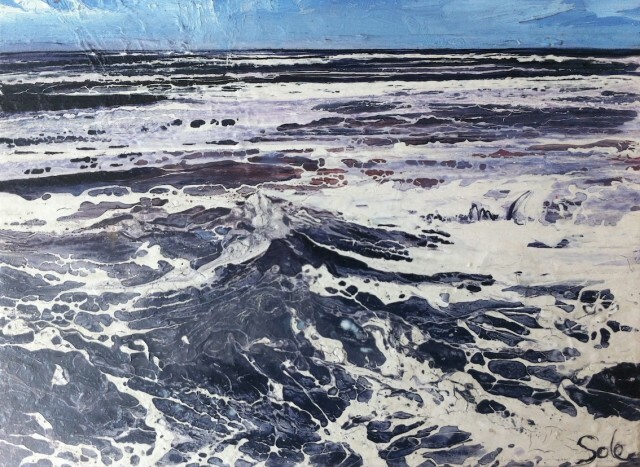 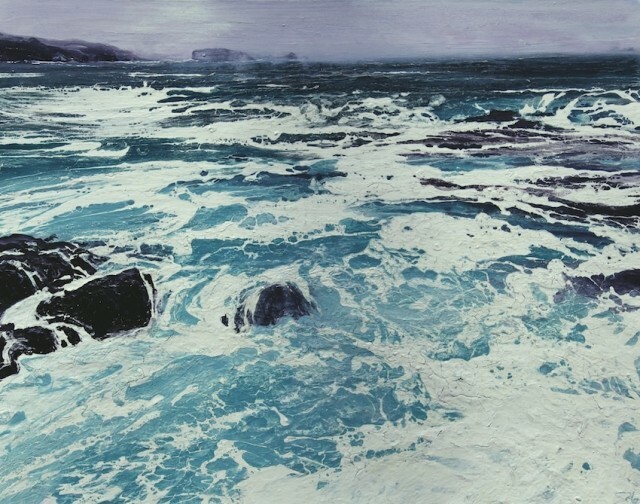 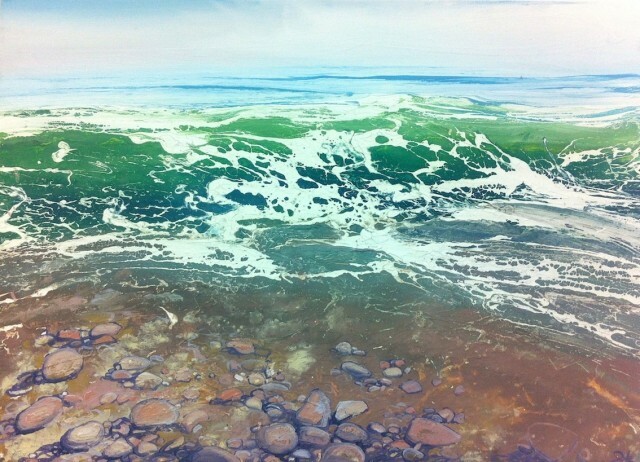 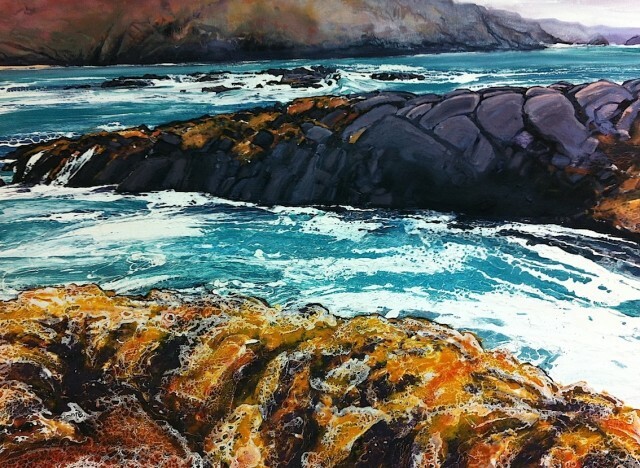 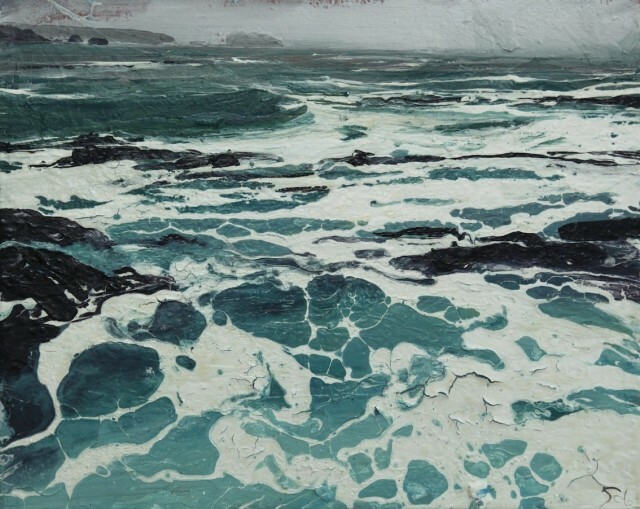 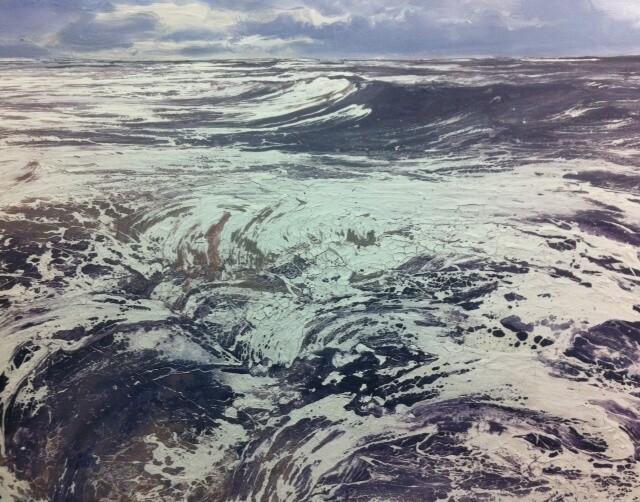 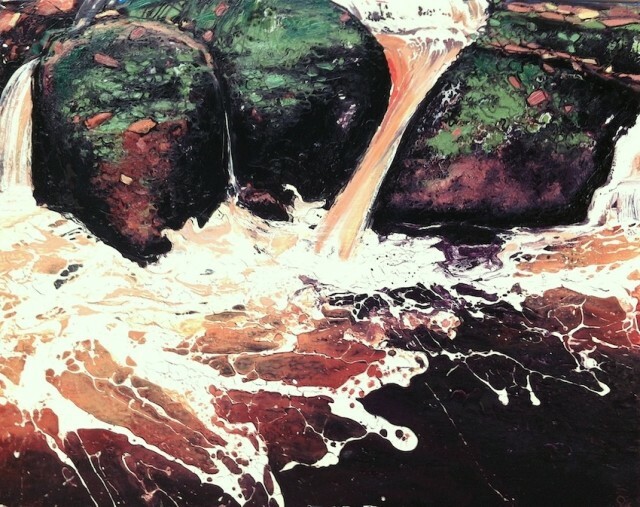 The sea is given a representation that highlights its awe-inspiring energy and movement under Michael’s brush, different from its photographic but lifeless image in traditional landscape works. 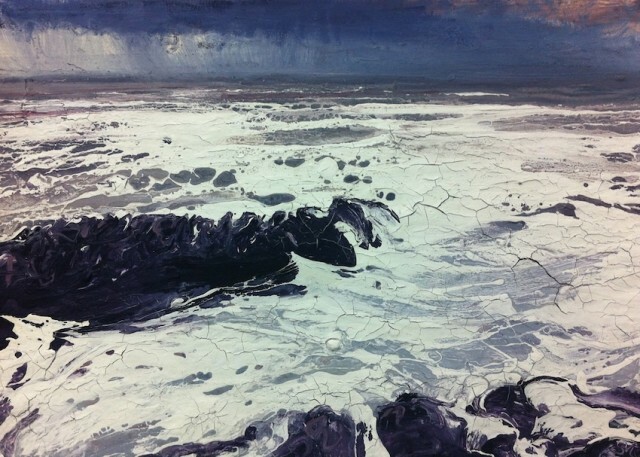 Also presented in the exhibition is Michael’s novel exploration of the sky, which was what originally prompted him to start this new series. 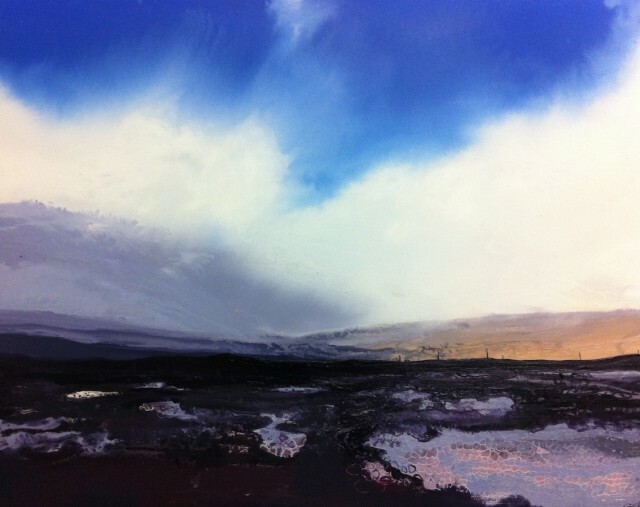 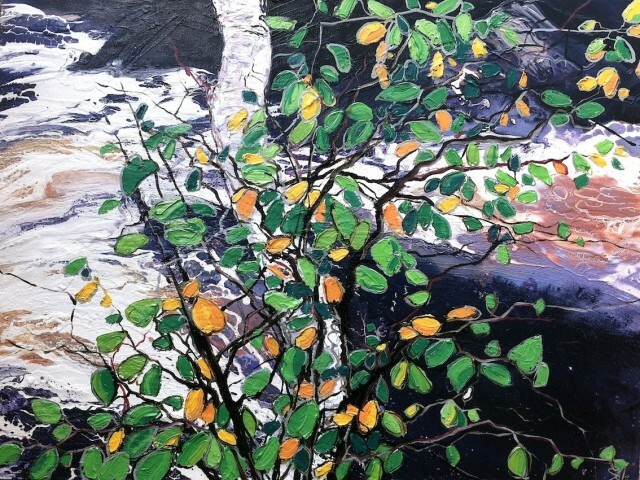 Here he no longer emphasises on the process or materials, but the end result. 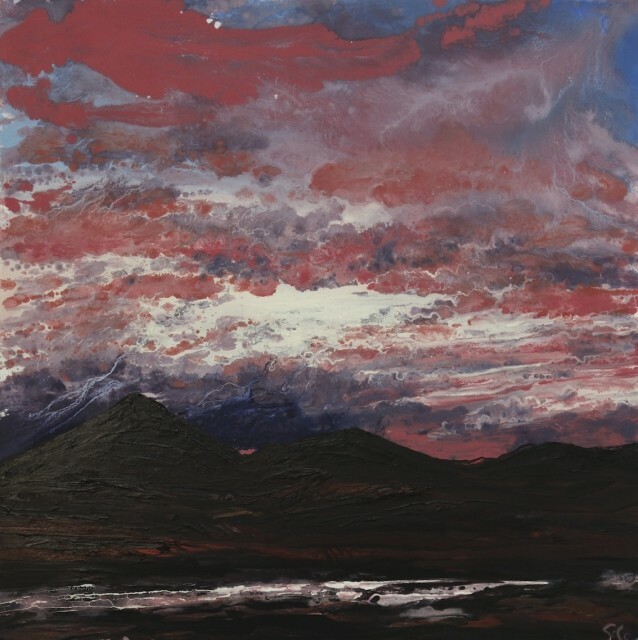 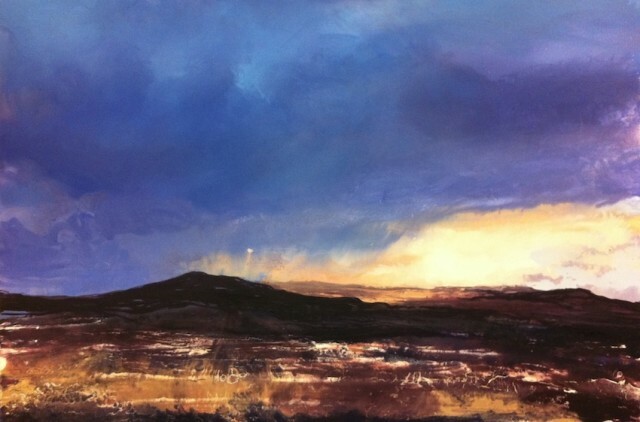 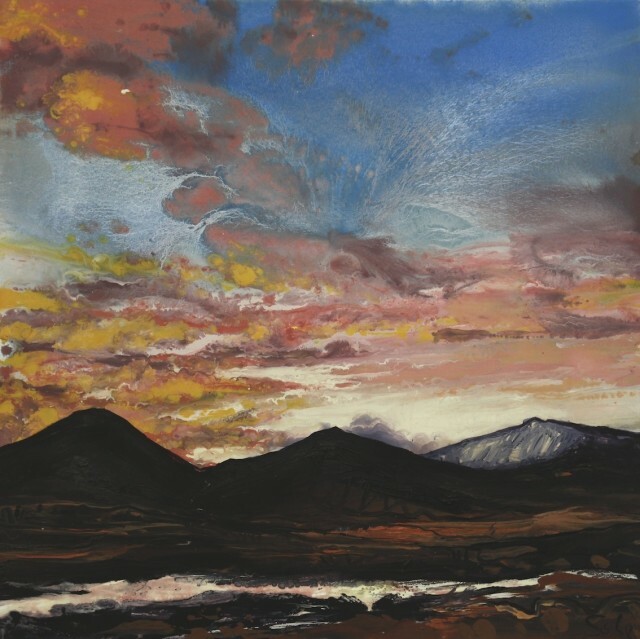 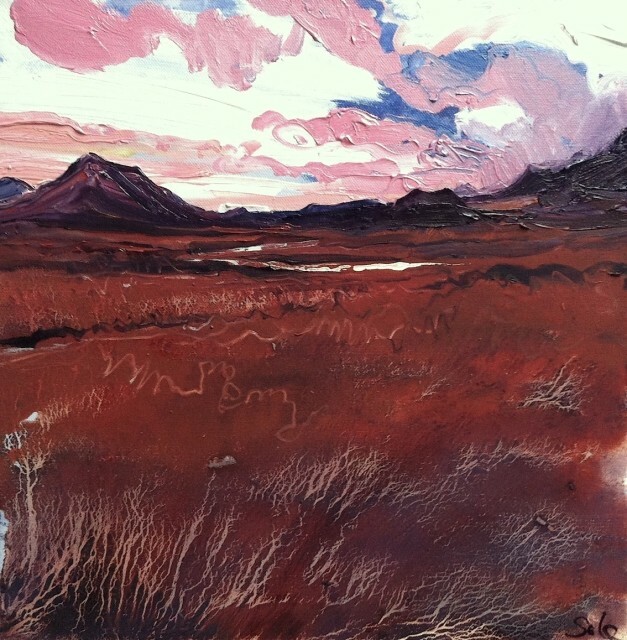 Driven by the uncontrollable urge to do justice to the colourful evening or morning sky on a canvas, Michael experiments with new technique and ways of working with the paint. 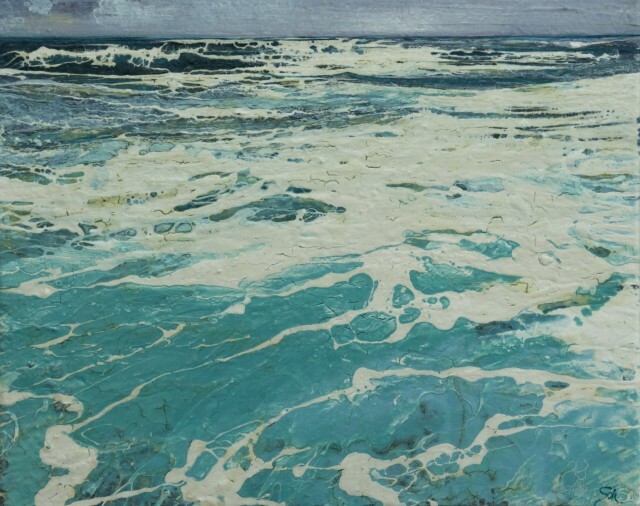 His playing with oil and colour combinations and rivulets resembles how the cloud constantly changes their arrangement above us. 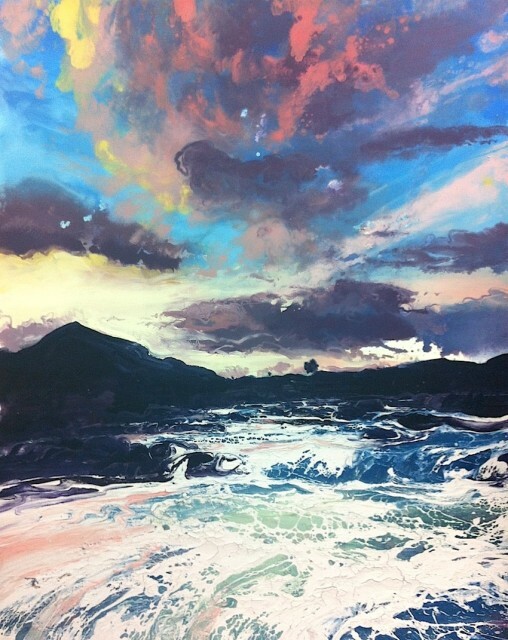 The result is a delightful and mesmerising fusion of nuanced colours that refreshes the sky’s dull and grey impression in us urban inhabitants’ mind. 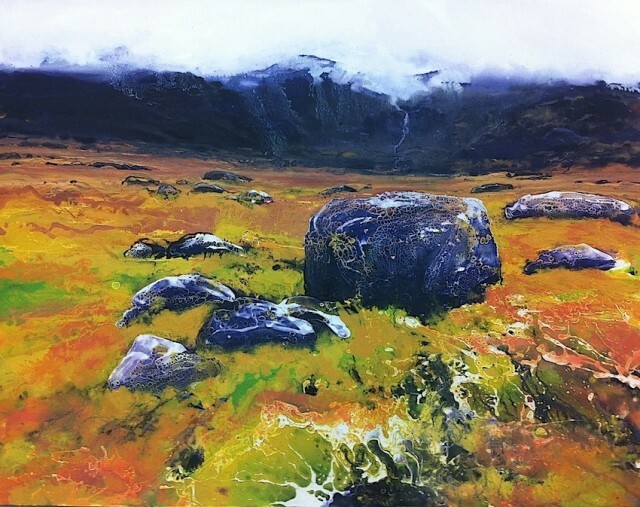 Now painting also in smaller dimensions and sometimes in loose forms that verge on pure abstract, Michael is a rising star who always seeks to create and innovate. 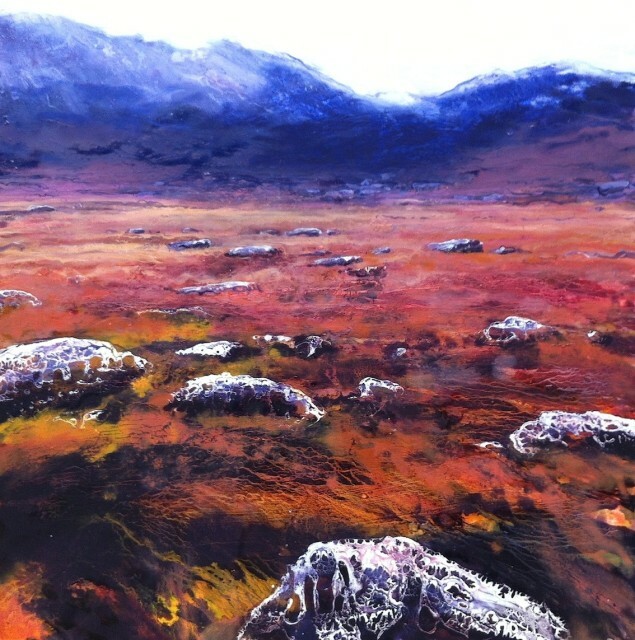 In his own word, “never get to a place of satisfaction/completion,” “that’s the sad thing.” Yet it is precisely such attitude that generates his urge to continue his artistic exploration, the latest achievement of which is celebrated here in GX Gallery, this very autumn.